CWS offers full service integrated waste management Monday-Saturday 9am-3pm. We provide fast, friendly, convenient service to everyone. Self-Haul includes mixed waste disposal, single stream recycling, electronics recycling, composting and many other services to meet all of your waste management needs. Separated Trash (compostables and recycling removed) $0.25/lb. Construction & Demolition / Yard Debris $0.25/lb. Refrigerators (with freon removed) $0.21/lb. 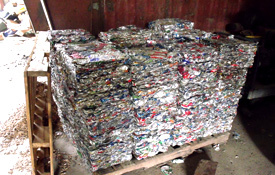 We BUY separated, clean aluminum for $0.15/lb. CWS takes all separated, clean glass for free. Glass is the second heaviest component of the waste stream and when you pay by the pound, it adds up. CWS buys separated, cleaned aluminum beverage containers. You can either take the money and run or credit the difference to your waste bill. 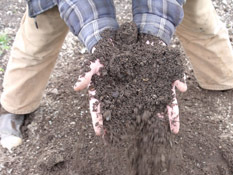 Separate out your compost- food waste, containing a lot of nitrogen and water is THE heaviest component of the waste stream. Recycle! It costs less money to recycle than it does to throw away. Put ALL of those plastics in and dont forget about cardboard, paper, tin and anything else with a recycle symbol on it! This is the easiest and cheapest way to save money on refuse services in Haines. Any questions? Feel free to call anytime, we'd love to help! Liquid wastes that do not pass the "paint filter test"
Any other waste that is deemed to have a reasonable likelihood of damaging the facility or any CWS processing equipment, material which is likely to pose a health or safety threat to employees, residents or the environment, or any material that may cause the violation of any applicable law.